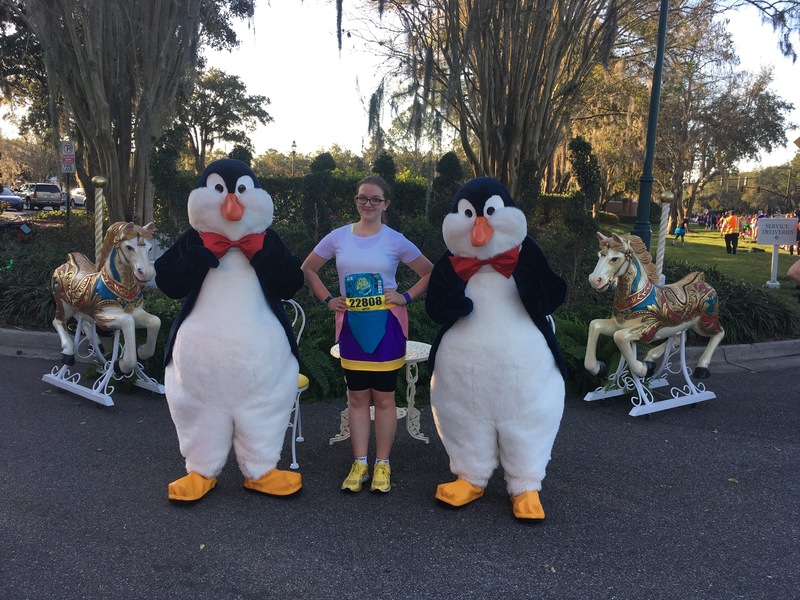 As I began another year packed with RunDisney races, I decided that much more time this year would be spent stopping for some of the amazing character opportunities on the race routes, and this kicked off with the Princess Half Marathon weekend back in February. The Fairies – a mini Pixie Hollow appeared on the roadside, featuring Tinkerbell, Terrence, Rosetta and Iridessa and pixie dust was everywhere! 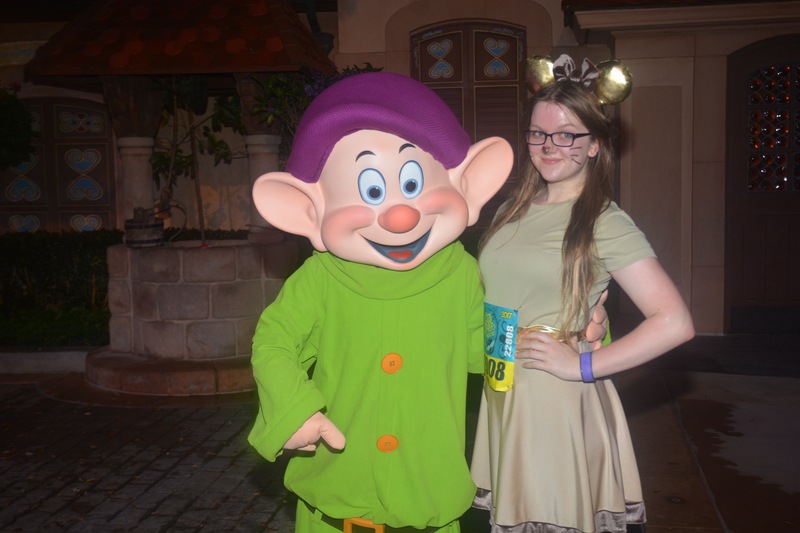 I was so excited to meet them all! The Evil Queen as the old hag – complete with bubbling cauldron, but don’t take the apple! 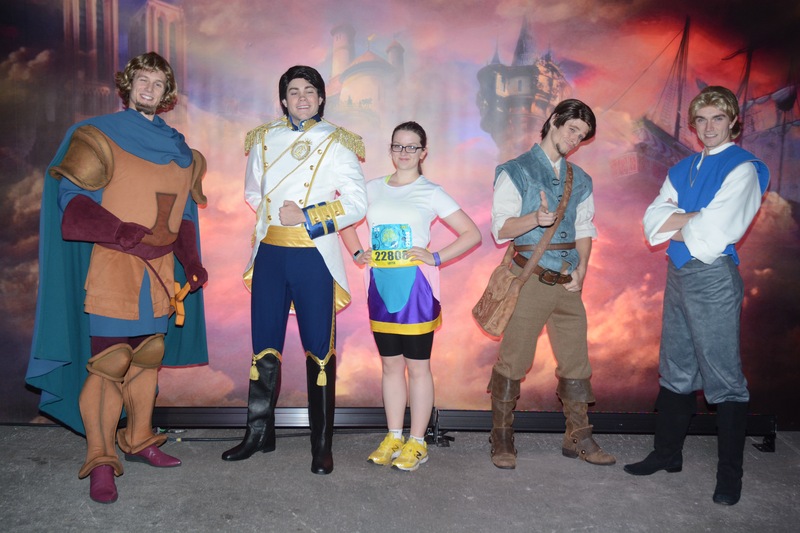 Geppeto – this puppeteer took over the Italy Pavilion to make runners into real boys! Genie on vacation – Hawaiian shirt and Goofy hat? Check! Mrs Incredible – in case there wasn’t enough girl power going on during the race! Queen of Hearts – off with their heads, if you can catch them! Gaston – now personally, I’d be running away from him fast, but he had quite the queue..
Woody – the cowboy of Frontierland! Sarge – in case runners started losing their motivation, this green army man was prepared to give press-ups to anyone who wasn’t smiling on the final stretch! 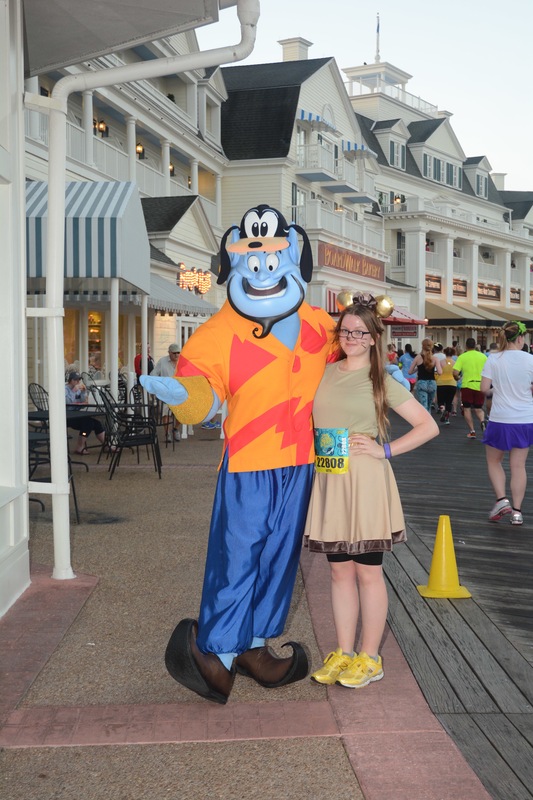 Genie on vacation – Genie was only duplicate from the races, but in that outfit, who cares? Mushu – a nice surprise for the last mile, this lovable dragon greeted runners as they entered Epcot for the final stretch! Oh, and Goofy and Donald cheered us in at the finish line! 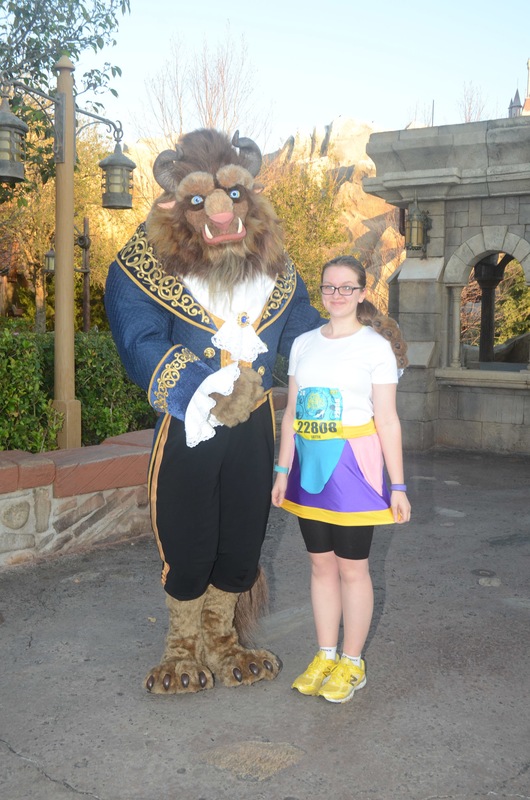 It was so much more fun stopping to meet characters during these races, it really does make every mile more magical! 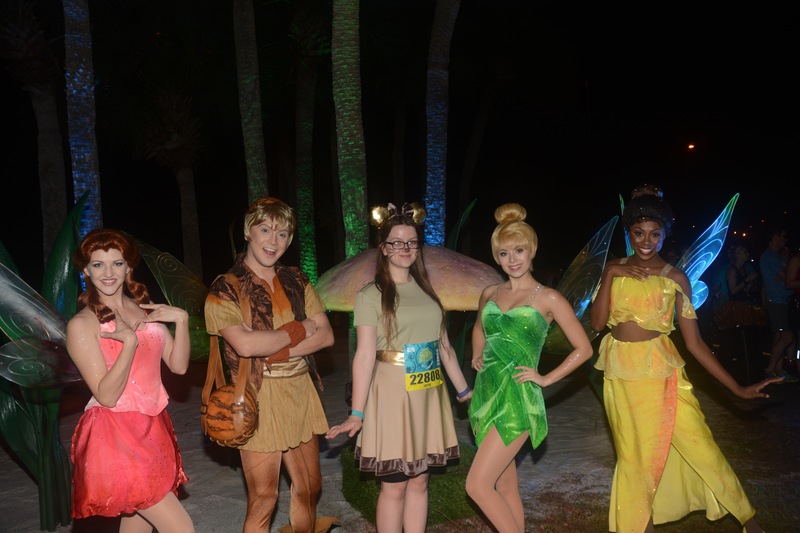 This entry was posted in Disney, Run Disney, running and tagged meeting characters, Princess Half Marathon Weekend, rundisney. Bookmark the permalink.